A photograph of Mierle Laderman Ukeles’ 1977-80 “Touch Sanitation Performance” is part of the Albright-Knox Art Gallery’s “Overtime: The Art of Work” exhibition. 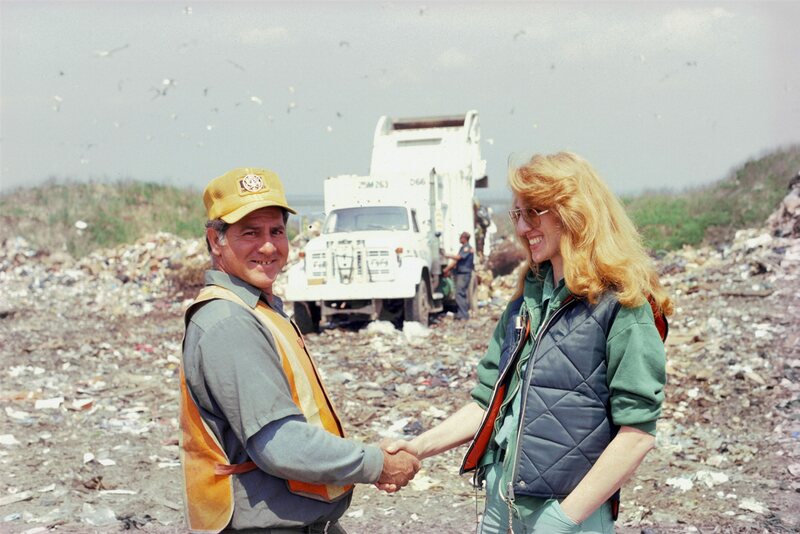 Artists don’t come much more driven or self-assured than Mierle Laderman Ukeles, who has held the title of artist in residence at the New York City Department of Sanitation since 1977. That’s right: The New York City Department of Sanitation. Ukeles’ work has been wrapped up with the daily lives and concerns of working people since she launched her career, during which she has attempted to recast and ritualize apparently menial jobs and everyday tasks like sanitation or janitorial work as a new category of art. She will give a lecture at 6 p.m. Thursday in the Albright-Knox Art Gallery (1285 Elmwood Ave.) in association with the gallery’s show “Overtime: The Art of Work,” which includes a photograph from a 1977-80 performance art project in which she systematically shook hands with some 8,500 New York City sanitation workers. The lecture is free, with more information at 882-8700 or albrightknox.org.